Attentive blog-followers will have spotted the fact that so far we have only offered blurred pictures of the new tinta. We’ll be showing it in all its glory as soon as the time is right. We’re increasing the luminosity of the indices. 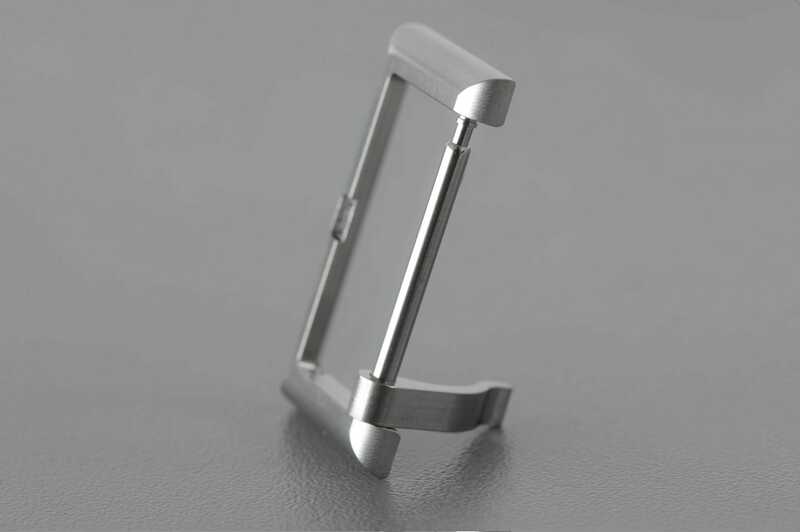 The clasp is something else we haven’t yet shown. Here it is! 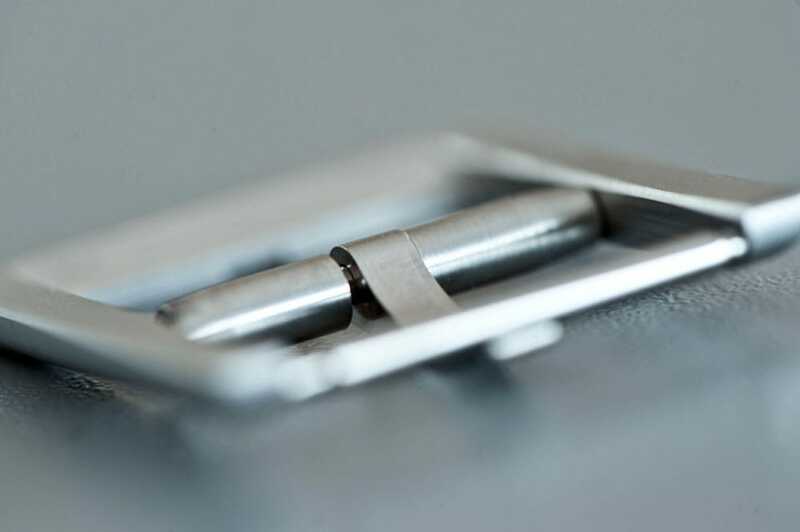 The new ochs und junior pin clasp is made by Peter Cantieni from the same titanium as used on the 42 mm case. 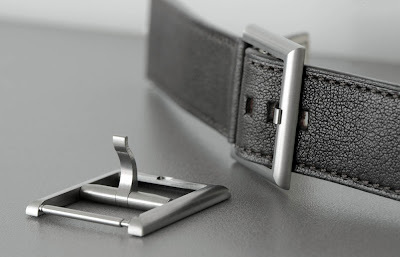 Unlike the gold and steel clasps made by Cornu, this one adopts the same two-part approach as the case and, like the case, is left unpolished. It means you can admire the craft that goes into its making, with nothing re-touched. So what’s all this about a mix-up? 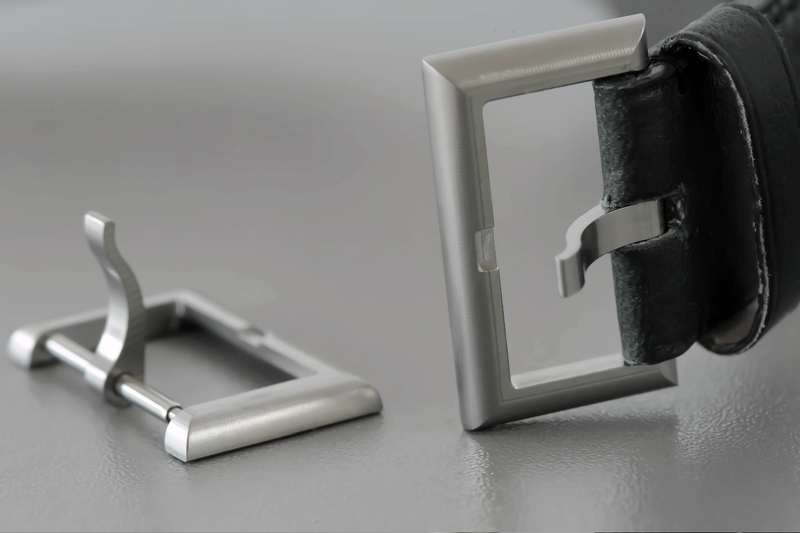 Ludwig Oechslin uses a different clasp on the prototypes he makes – namely the one in the photo above. 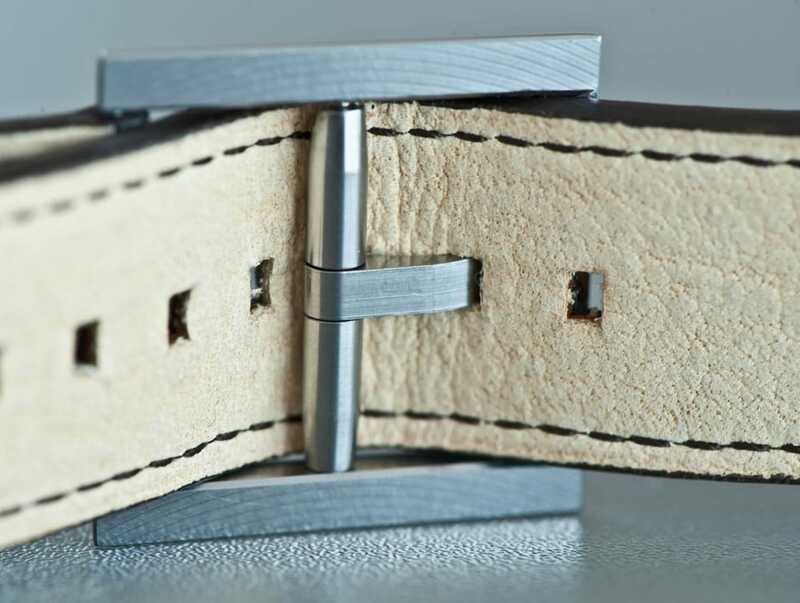 Similar to the clasp featured on the Swiss Army belt (incredibly durable, like all the army’s gear) the leather part goes through the clasp and so needs no loop to hold it neatly in place. A Happy New Year to one and all, dear friends! !